The Stickman Sniper info about the game-Games2Rule. 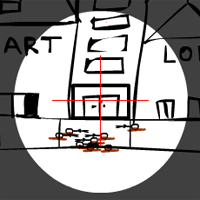 A fun game where you are a sniper and you complete missions. There is also a good 1 minute challenge.